Optical coatings on lenses or mirrors change the way an optic reflects light waves to meet specific application needs. There are two primary coating options for reflectivity modifications: AR and HR coatings. Antireflective coatings (AR) increase transmission to reduce surface reflections, and are commonly used on eyeglasses, photographic lenses and solar cells. High reflective coatings (HR), sometimes called mirror coatings, increase surface reflectance and can create mirrors that reflect virtually all light of a given wavelength range that falls on them. Both AR and HR coatings are used in laser applications. Antireflective and high reflective coatings are typically deposited via ion assisted evaporation, as well as sputtering or ion beam deposition (IBD) processes. 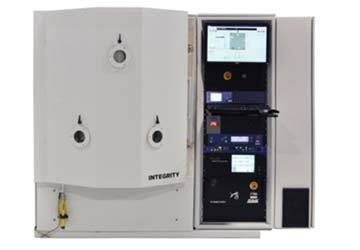 Denton offers an AR/HR version of the Integrity that is optimized for semiconductor laser facet coating. 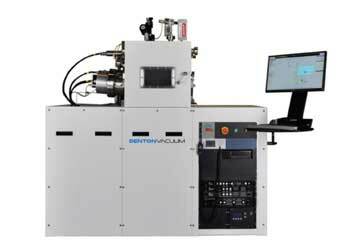 This solution offers an in situ flip fixture to allow coating on both sides of the substrate without breaking vacuum, has a six-pocket e-beam source for multiple films, and uses our LambdaPro® OMS for real-time control. 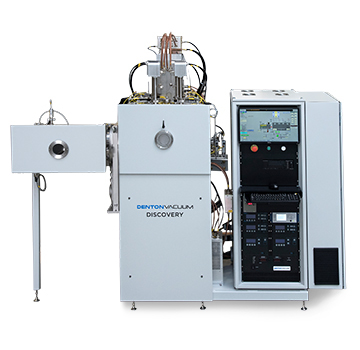 Learn more about the laser facet applications of this high performance system. Other Denton solutions available for AR/HR coatings are Discovery for magnetron sputtering and Infinity for IBD (ion beam deposition).